The 25 year old rider of MR Racing MiniGP determines to perform better than before after a struggling start of the championship. The upcoming race in Pekan; Pahang will set to be an important ground for him and close to be a “do or die” mission as he chase a better position in the championship standing. A lot needs to be done according to Rashidi after realizing how he did a lot of mistakes in the second round of the Malaysia MiniGP Members Championship 2015. 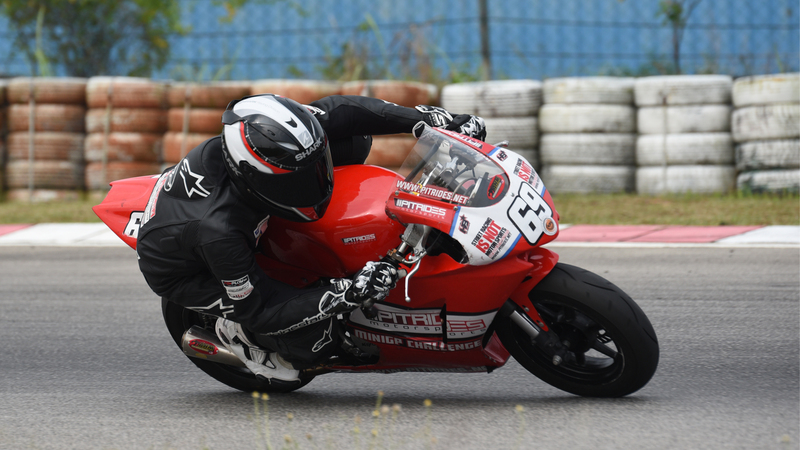 The 3rd round of Malaysia MiniGP Members Championship in Pekan will see only the Novice category being competed as the Open will take a short break and continue back on the 4th and penultimate round in UUM Sintok which will be held on the 30th of October 2015. Azrul and Zulhilmi will be Rashidi’s biggest obstacle along with Mohd Emy in his pursue to gain into the top 5 position of the championship which currently being led by Reffy Kamar and Putera Adam. “A lot of physical training has been done and I’ve sat down with a few of my mentors to revise the mistakes that I did from the first two rounds. I’m confident to come back stronger this round and give a fair challenge to all the other competitors in the series” says Rashidi prior to his journey to Pekan for the 3rd round of the series. It will be an interesting battle between all the top 10 riders of the competition as they head up to the east coast of Malaysia and have a first taste of the Indrapura circuit with their MiniGP machine. Stay tune with us for more updates of the championship and do hang out with us on FACEBOOK and check out our film contents on Malaysian Riders YOUTUBE CHANNEL.